If you have a job that’s too much for a mass-market four-wheel drive, take a look at some American imports. Automotive PR staffers tell me that the number one reason people buy cars is style. 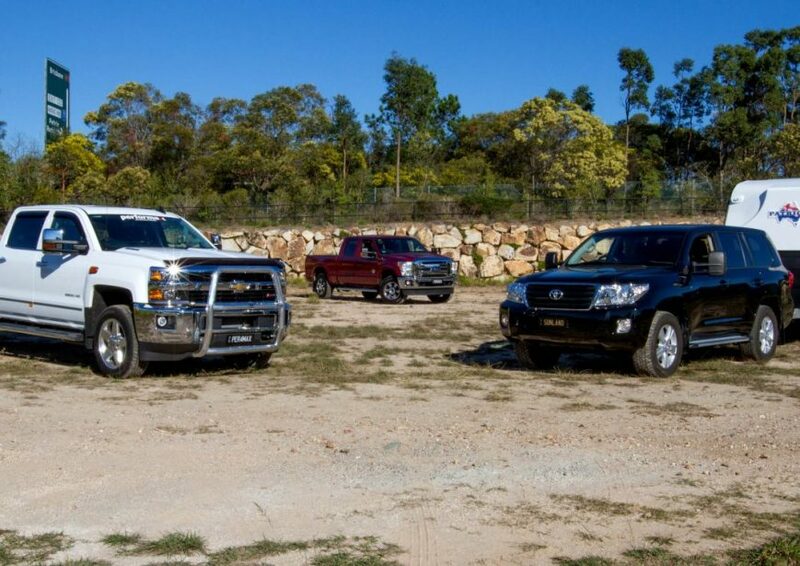 Now while the image of a big American ute appeals to many, there’s some good practical reasons why you might want to think about one of them instead of the mass-market one-tonne utes and large 4WD wagons. These big American trucks are right-hand-drive aftermarket conversions, and that’s not an easy job. Fortunately, Queensland-based Performax delivers fully engineered and Australian-legal conversions. The attention to detail is remarkable, even down to measuring trim and panel gaps to ensure the changes match or better the original quality, and they manufacture parts to suit. If you look closely, you’ll spot the odd clue these trucks were originally left-drive, such as the 4WD selector being on the passenger side, but manufacturers themselves often have similar omissions on their own conversions. There’s a four-year warranty too, and national coverage through 17 dealers, all of whom are also new-car franchises used to dealing with new-car customers, so these vehicles can be bought with peace of mind. So, why exactly would you want one? The obvious reason is heavy-duty towing. Trailers are getting larger and heavier, not just boats and horse floats but also your average caravan, yet the capability of the average tow car hasn’t kept pace; decades ago it was 3500kg, and that’s still the maximum today. But most of the time that 3500kg is just a headline figure, not a real-world practical capability. Ask anyone in the industry if they recommend towing at a car’s maximum, and the answer will be no, not least because no vehicle is designed to tow its maximum every day – especially when loaded itself. Simply, the more powerful and bigger the tow car, the easier it does the towing; not just pulling power up hills, but handling around corners as well as less stress on the engine and transmission. And that’s assuming you can actually, legally, tow the rated load. Let’s look at the numbers. The Gross Combination Mass (GCM) is the total the trailer and tow car can weigh. The GVM is the maximum the tow car can weigh. So if we take the Ford Ranger PX2 Wildtrak we have a GVM of 3200kg and a max tow of 3500kg, totalling 6700kg. Yet the GCM is 6000kg. Take 3500kg off the 6000kg GCM and you get 2500kg, the maximum the Ranger can weigh if it is to tow 3500kg. The unladen weight of the Ranger is 2250kg, leaving us with a payload of 250kg. Not very much, and we’ve not even got into axle loads or effects of towball mass. You can do the maths for any wagon or ute on the market and you end up with the same sad result: the maximum tow capacities are just headline figures and rarely real-world usable, particularly if your 4WD is also modified with bar, winch, roof racks and all the usual touring gear which adds typically around 400kg to the standard unladen mass. * GVM reduced below 4500kg so the truck can be driven on a car licence. Prices for the big trucks start from $126,000 plus on-roads for base models. There’s a lot to think about. The Americans have a wheelbase that is considerably longer than even the Ranger, which means all-round towing stability around corners and resistance to fore/aft pitching. Also look at the overhang, which is defined here as the length minus the wheelbase. It’s not much bigger for the Americans than the LC200 or Ranger, so that means a shorter relative rear overhang and better towing stability as the towball is closer to the rear axle. The bigger trucks have an unladen weight that is much greater, so it’s harder for the trailer to boss the tow car around. And torque… each Newton-metre the F250 can produce has to do only half the work of each of the Ranger’s. So with those figures it’s not surprising that the two Americans can tow 6300 and 7439kg, which means pulling a 3500kg trailer for them is like an LC200 towing 2000kg. But what the numbers don’t show is how these big trucks are designed from the ground up for towing. Both Americans have a tow/haul mode which not only sets up the engine, gearshift and electronics for towing but also increases the cooling to the engine and transmission. We’ll get to the effect on driving in part two of this story, but other standard features on both are electric trailer brakes, wiring, towbar, suspension and towing mirrors. All these costs are extras on the domestic-market cars, and while they won’t cover the price difference it’s still a bit of extra cash to consider. And both feature exhaust brakes, not something you can easily fit aftermarket. The Ford in particular has some trick towing features; a cool reversing camera designed for hooking up a trailer, and a trailer setting feature that stores details like the settings for the electric brake controller and exhaust brakes. It also has three methods of controlling the six-speed gearbox; drive, and a gear lockout mode where you can tell it not to use any of the top gears, for example select fourth and the truck will never select fifth or sixth. Or you can shift to manual mode and select gears, so if you choose third for example, the truck will remain in third gear, even pulling away in third (and we did, without slowing up the traffic behind). Both vehicles have electronic traction control, stability control and trailer sway control. Light-truck tyres are standard. Tray length is two metres – longer than the Ranger’s extra-cab variant – and that helps when towing fifth-wheelers, as the turntable can be located ahead of the rear axle which is critical for stability and load distribution. On smaller utes the turntable has to be behind the rear axle. The interior of the two vehicles shares the same concept and overall feel, but differs in execution and detail. Both look and feel larger than the likes of the 200, and are laid out differently to what us Aussies are used to. The gearshift is a stalk on the right of the steering column, the power seats are highly adjustable and you can also electrically shift the position of the pedals, plus adjust the steering by tilt and reach. The gloveboxes are tiny, but the centre consoles are gigantic, as are the storage areas between the console and the dash. There is an impressive array of USB and 12V sockets dotted around the cabin, and seats are heated and cooled. There are the usual modern conveniences of aircon, sat nav, steering-wheel buttons and the like. In short, you do not want for modern car features. Towing aside, many people run these vehicles as tourers, and that means accessories. Most of the basics are available, and once kitted out the vehicles are capable enough thanks to low-range, good ground clearance, traction control, a rear locker and power. They are limited by their size, so not suited to tight and tough trails like the Victorian High Country. But that’s not what these trucks are about; they exist to tow big trailers and that’s exactly what we did. …to be continued next month.